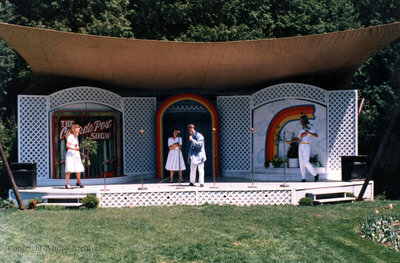 A colour photograph of the Valley Outdoor Theatre at Cullen Gardens and Miniature Village. In this view four people are singing on stage. Valley Outdoor Theatre at Cullen Gardens, Date Unknown, Photographer Unknown. Whitby Archives A2013_042_112.